Since we have been around for quite a few years now, we don’t find ourselves doing as many styled shoots, simply because our portfolio doesn’t need them as much! 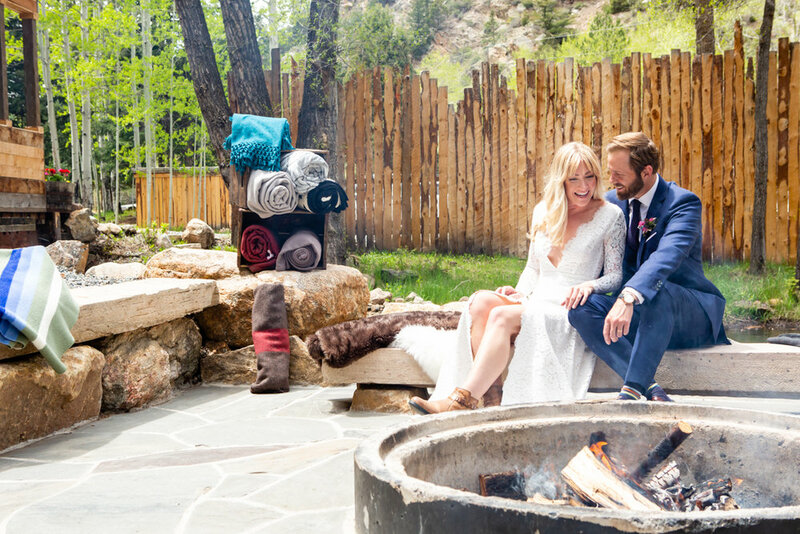 However, when our friend Mindy Lundy reached out to us about doing a styled shoot at Blackstone Rivers Ranch, we couldn’t help but say yes! We had only been to the venue once or twice and fell.in.love! It wasn’t long before the inspiration board started to grow and a few other "friendors" climbed on board! We arrived at Blackstone Rivers Ranch at about 9 or 10am and began unloading our blankets and the “to have and to hold in case you get cold” sign. The staff was very laid back but offered to help with anything and everything we needed! As other vendors began arriving, the “wedding” slowly started to come together. The venue needed very little decor help, as the setting alone was breathtaking. The dessert table was made of wood and stone and was a permanent fixture and looked beautiful decorated with the sweet treats from The Treatery! The smores bar was tucked away by the river with the firepit nearby! The bar was also built in and looked cozy and cute with signage from Designs by Sarah Meyer and florals by Fairytale Floral Co.
Our “bride and groom” were actually husband and wife, so their chemistry was effortless as well! Mindy got some getting ready photos while Your Glam Team made our bride look fabulous! Everything went *almost according to plan, and all of our vendors went above and beyond to make this “wedding” one for the books. We could hardly contain our excitement when the professional photos rolled in! We hope to get the chance to work at Blackstone Rivers Ranch again very soon, and are so grateful to all of the other team members who made this shoot come to life!